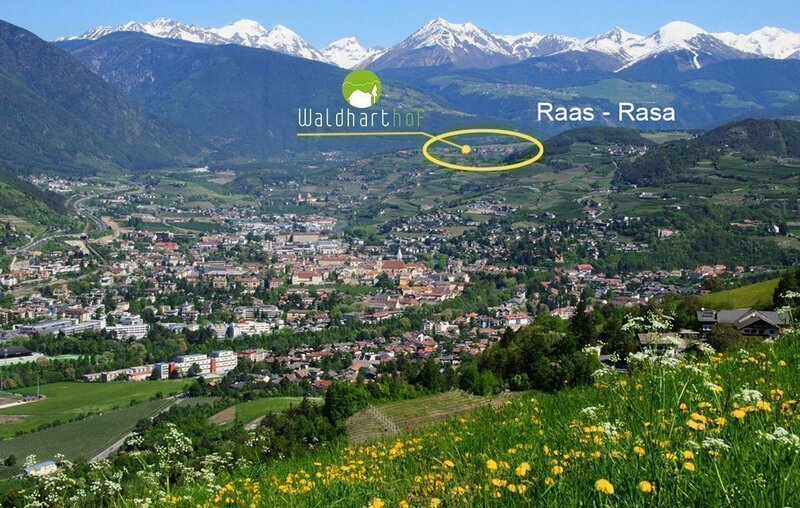 Raas in South Tyrol: How to find us! If you arrive to Raas in South Tyrol by car, take the Brenner highway A22. Take the Brixen / Puster valley exit and proceed towards Puster valley. After about one kilometer you will see the signs “Schabs”, “Naz”, “Raas”. Turn right and follow the signs “Raas”. At the entrance turn sharp right and drive about 150 meters till you will get directly to the Waldharthof. If you arrive by train or bus, then we offer you the opportunity to save money and to pick you up for free at the station. Just let us know! To calculate the route to Waldharthof, please click on the marker in the map.